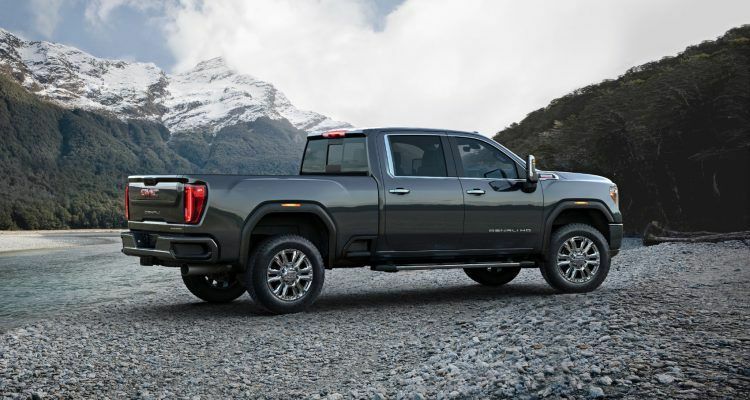 The 2020 GMC Sierra HD pickup is due later this year with increased towing capacity. 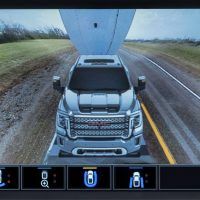 The Allison transmission gets a major upgrade on the taller, more robust 2020 Sierra HD. 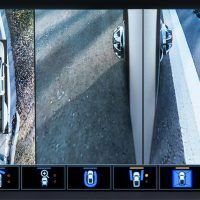 The list of towing technology is impressive: cameras, smartphone apps – the whole nine yards. The 2020 GMC Sierra HD pickup will soon be here, and besides having the design of a Soviet-era apartment building, it’s a pretty amazing piece of work. What’s also amazing is that I get to write about it, because most of the time, Carl Anthony gets all the truck stuff around the office. Some guys have all the luck but today, I get to have some fun! Funny thing about the racing world, or at least the more amateur end of it, is that you spend a lot of time talking about trucks. As enjoyable as it would be to drive your vintage racer directly to the next track, most likely you’re going to have to tow it there in a trailer. So there’s lots of conversation in the paddock about highway MPG and torque and how your new truck handles a trailer. GMC must be thinking ahead, because one of the things they focus on, right up front, is how the new Sierra HD handles towing stuff. 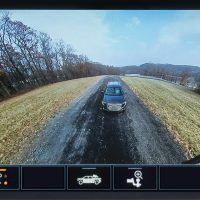 The 2020 GMC Sierra HD uses Digital Variable Steering Assist which alters the power steering according to different driving situations, like heavy towing. Photo: GMC. GMC calls their towing control scheme the ProGrade Trailering System. This deal includes a whole orchestra of command and control devices to help keep things on the straight and narrow. For example, there are 15 unique camera views, including a creepy thing called “transparent trailer” view. This view helps drivers see around their Sierra HD and trailer. Further, there’s the iN-Command system that functions like a smart home, monitoring and controlling an array of systems in supported trailers. It can do things like turn on the trailer’s water heater or air conditioning, check holding tank levels, or monitor fuel levels on trailers with generators. Handy! Related: Use these pro tips to help you tow that trailer with ease. Other long-haul towing gizmos include Trailer Light Test, Trailer Electrical Diagnostics, Trailer Tire Pressure and Temperature Monitoring, Pre-Maintenance Reminders, and a Departure Checklist. A lot of these work through the myGMC mobile app but it doesn’t end there. The Auto Electric Park Brake feature automatically applies your parking brake (a bonus when hitching up), while Park Grade Hold Assist adjusts braking effort for an extended period of time. Tow/Haul mode, Trailer Sway Control with integrated trailer brakes, and Diesel Exhaust Braking carry over from previous models. Finally, there are larger, door-mounted trailering mirrors with power extension and retraction. Grunt for hauling your toys is provided by the evergreen Duramax diesel and Allison transmission, a pairing that is pretty sweet. The 6.6 turbo-diesel plant offers what GMC humble-brags as “high torque.” How much? 910 lb-ft. of it! Which is, you know, a lot! Ponies clock in at 445, and if those horsepower numbers don’t add up for you, then I don’t know what you’re trying to pull down the road. The gearbox, an all-new 10-speed Allison automatic, has closer gear spacing. This means optimal rev range is found at all times regardless of load and terrain conditions. Thank you GMC. GMC says the bigger frame and stronger propulsion system deliver “greater towing capacity than previous models.” By which they mean well in excess of 30,000 lbs! Which, by my calculations, is more than enough for a two-car Formula Ford team with a lot of spares! Versus the prior model, the 2020 GMC Sierra HD is taller with a longer wheelbase. The now larger grille complements the functional hood scoop which feeds air to the Duramax turbo diesel. Photo: GMC. It’s all nice and stuff in the cab. Leather and USB ports and touchscreens and brushed aluminum and all that. Definitely nice and all, but this a truck and will be used (presumably) as such. All these creature comforts are becoming more and more important, however. There are (seemingly) dozens of truckers out there that want you to know they are more than just clod-kicking ranchers come t’town. Who’d’a’thunk trucks as a way to show off? In fact, GMC says more than half of Sierra HD customers pick the Denali trim, which is the top model. The 2020 GMC Sierra HD goes on sale later this summer in both 2500 and 3500, single rear wheel configurations. 3500 buyers can opt for dual rear wheels. Like the 1500-series trucks, the new HD will also get its own off-road oriented AT4 trim. Pricing? Eh, no word yet. But I bet the Denali will be surprisingly expensive. Exact pricing and complete specifications will be announced later, according to GMC. 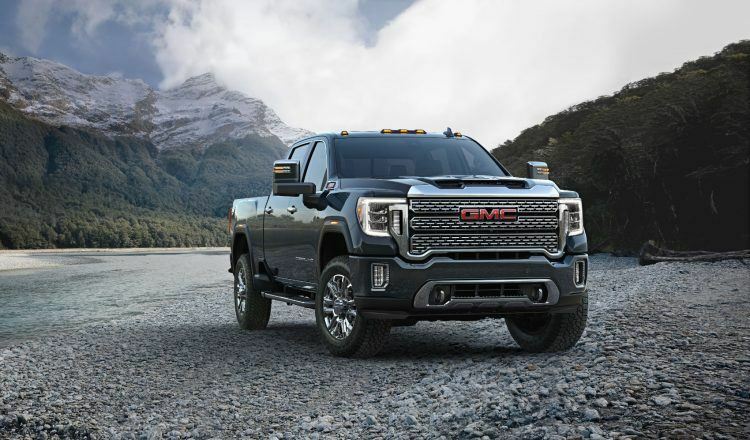 No Comments on "2020 GMC Sierra HD: New Towing Tech & An Allison Upgrade"